Welcome to watkins st to two of 231’s newest probies. 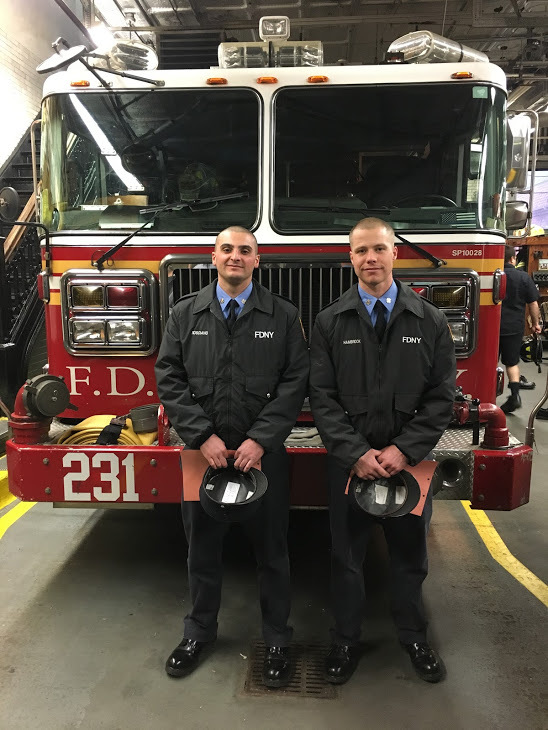 FFs John Hambrook and Gerard Rosciano were assigned to Engine 231 on April 17th. As a former member once said, you are joining a group of all stars, somehow you have to find a way to make a difference and make this place better then when you walked through those doors. Good luck to the both of you.